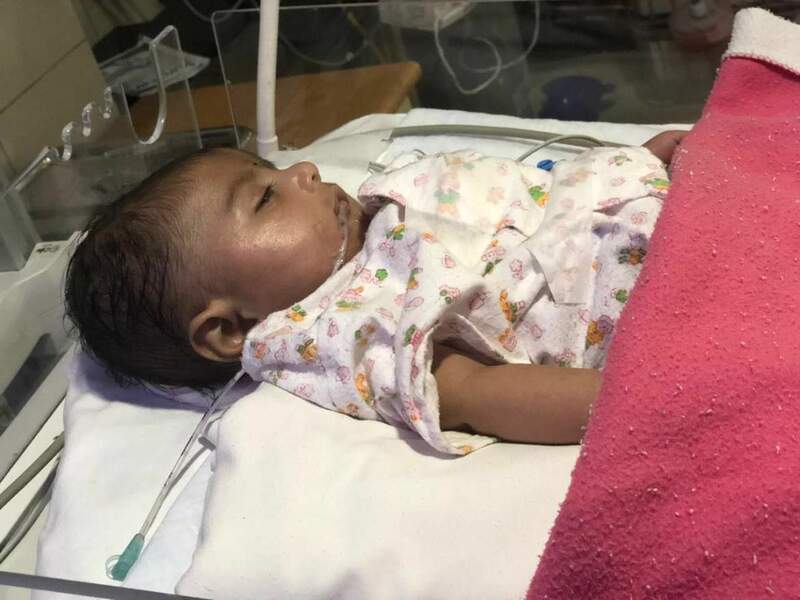 Two-month-old baby Naksh, son of Karthik, is suffering from a severe heart disease since birth called congenital heart disease. Congenital heart disease is a defect in the heart that forms at birth and needs to be treated on an urgent basis before it becomes life-threatening. 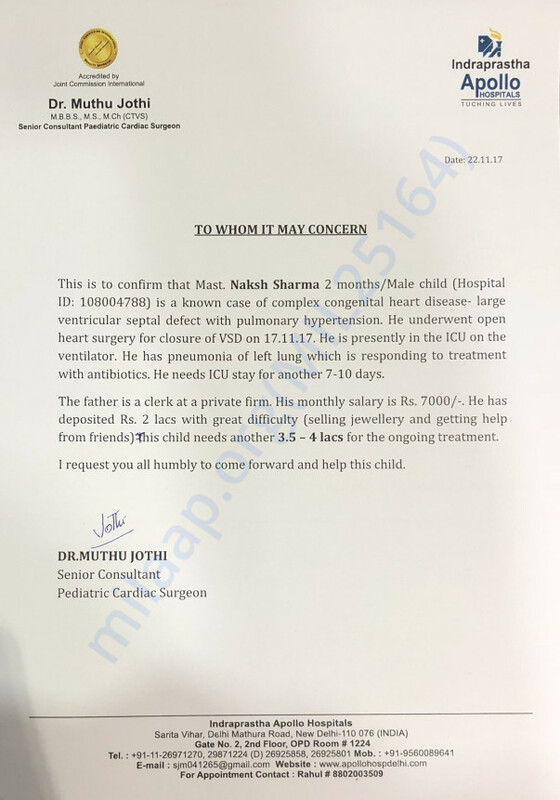 Naksh was advised to urgently undergo an open heart surgery to treat his condition. 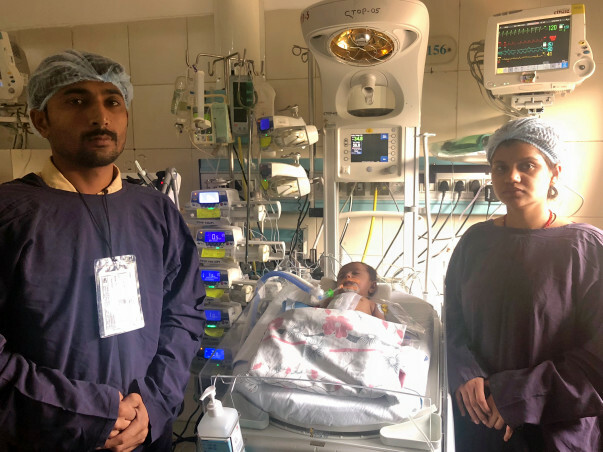 However, the baby was diagnosed with pneumonia in the left lung and is now in the ICU on ventilator support and will continue to stay on ICU support for another 7 days. The total cost for the surgery and treatment is around 4 lakh Rs. Karthik spent all his life savings to arrange 2 lakh Rs and now can no longer afford the remaining amount. He needs our help. Your contribution can give Naksh the treatment he deserves. Thank you for all the support. Naksh underwent the surgery successfully. However, he is still in the hospital and is under observation. The family has to still pay for their medical expenses. Please share it with friends and family and help this little kid. May God recover him fully soon.